This week's podcast clarifies what exactly is a tube of cotton balls...and how to "Treat Yo'Self" on a budget. Any advice for friends of extreme savers? Is it okay to invite you out for happy hour? Sunday brunch? And can we still share your Anthropologie birthday month discount? hmmmmm, where in the world did you get the idea to do pour-over coffee? I don't know, ma. You're the Caroline mom I always wish I had, but had. J - aka "spend friend" I will always budget you in. Even if I have to order crackers and water. And maybe we need to do a future podcast on how to be friends with a cheapskate. 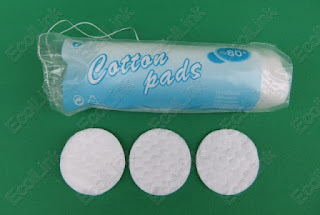 Aren't they called cotton rounds? But I totally knew what you meant.